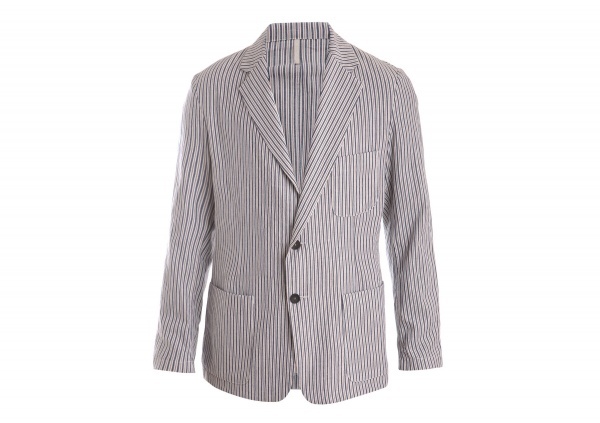 Add some nautical charm to your look with this seersucker blazer from Hollander & Lexer. A soft cotton blazer ideal for stepping up your preppy look, this soft two button, notched lapel blazer features the signature seersucker crumple, and a classic patch pocket, full fit design. Available online now. This entry was posted in Blazers, Tops and tagged Hollander Lexer. Bookmark the permalink.